The Young Farmer of the Year is a slice of heartland New Zealand — beloved by rural folk and city dwellers alike. As Kiwi as Hokey Pokey ice cream or watching Country Calendar on a Sunday night. Behind the scenes of the competition is an organisation that prides itself on its people and professionalism. Dedicated, tireless, creative, NZ Young Farmers has been like family to many of the contestants. The contests have also provided opportunities for social interaction, learning and mentorship. The generosity of the sponsors has ensured the success and longevity of the competition; live media coverage (radio and then television) has kept it in the limelight. One-time regional finalist and author Kate Taylor has been close to the action for many years — competing, organising, helping, judging, photographing and reporting on the Young Farmer of the Year. In 50 Years Young, Kate meets winners, finalists and organisers, and shares their stories of passion and commitment. She also writes a comprehensive and compelling history of rural New Zealand’s most prestigious competition; dubbed ‘the challenge second only to the land’. The big question is, what does it take to win the Young Farmer of the Year? Kate puts it down to stamina, time management, building support networks, a wide general knowledge and brains (not just academic brains, but rather the ability to think outside the square), technique over brawn and being prepared for anything and everything. For fifty years, to win the grand final has been to become a local hero and ride away on a new bike or tractor. Many winners became VIPs — opening A&P Shows, judging competitions, being profiled by media. Some were set up for life. Experience their triumphs and challenges in 50 Years Young! 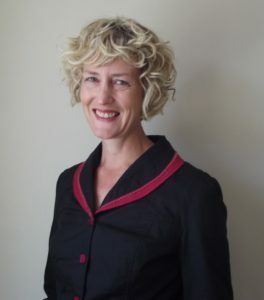 Kate Taylor grew up on a farm in West Otago and has been a journalist since she left school, starting with radio and moving into print when she returned from her OE in 1996 to work for the then Hawke’s Bay Herald Tribune. She left what became Hawke’s Bay Today in 2000 when her daughter was born and has been a freelance journalist, administrator and event manager ever since. Kate, her husband Thomas and their children Sarah and Lachlan live on a small farm at Takapau in Hawke’s Bay, where she is an active member of the local fire brigade.